Recently The New York Times ran a story on the growing popularity of natural detoxification, reporting that, “… sales of herbal formulas for cleansing, detoxification and organ support among natural food retailers were more than $27 billion” from the beginning of December 2007 to late November 2008. The reason for the growing interest? People are beginning to realize that the human body may be up against more than it can handle. These days our bodies are exposed to more dangerous toxins than ever before. They’re in our homes, our cars, our places of work. They’re in the air we breathe and the food we eat; they’re even in our beds! Although we’re equipped with certain natural defenses that are working to purge those toxins, our bodies normal defences eventually become overwhelmed. Unable to deal with this continual onslaught of exogenous and indogenous toxins, no longer able to perform the detoxification task on their own, we end up suffering from needless illness. and disease unless we take extra steps to deal with this issue. So how do you solve this reoccurring problem? That’s where the Savvy Team come in. First, let’s look into the problems we’re dealing with. There are many new and stronger chemicals, air and water pollution, radiation and nuclear power. As a community we ingest new chemicals every day, we use a growing list of drugs of all kinds, eat more sugar and refined foods, and daily abuse ourselves with various stimulants and sedatives. The incidence of many toxicity diseases has increased as the growing list of exposures work themselves into our lives. Cancer and cardiovascular disease are two of the mainconditions people suffer with. Arthritis, allergies, obesity, and many skin problems are others. In addition, a wide range of symptoms, such as headaches, fatigue, pains, coughs, gastrointestinal problems, and problems from immune weakness, can all be related to toxicity. That’s where the Savvy Team can support you along the way in your journey. Toxicity Occurs On Two Basic Levels: external and internal. We can acquire toxins from our environment by breathing them, by ingesting them, or through physical contact with them such as those we use throughout the home (including everything in the bathroom). Detoxification of the skin, the inherent dangers we face and the importance of having clear detoxification pathways are dealt with in other articles. We all are exposed to toxins daily. We eat and drink them and impose them upon ourselves repeatedly and regularly. Most drugs, food additives, and allergens can create toxic elements in the body. In fact, any substance can contain toxic contaminants – water, sodium, and almost all nutrients can be a problem in certain circumstances. On the internal level, our body produces toxins through its normal everyday functions. Biochemical, cellular, and bodily activities generate substances that need to be eliminated. The free radicals that have been discussed throughout this book are biochemical toxins. When these substances/molecules/toxins are not eliminated, they can cause irritation or inflammation of the cells and tissues, blocking normal functions on a cellular, organ, and whole-body level. Microbes of all kinds–intestinal bacteria, foreign bacteria, yeasts, and parasites–produce metabolic waste products that we must handle. Our thoughts and emotions and stress itself generate increased biochemical toxicity. Elimination Of Toxins Is Essential To Health. Almost everyone needs to detox, to cleanse themselves inside as well as out, and rest their various body functions. Clearly, a normal functioning body was created to handle certain levels of toxins. Of course, if our body is working well, with good immune and eliminative functions and getting an adequate intake of nutrients, we can handle our basic everyday exposure to toxins. That’s where the Savvy Team come in. We support you along the way in your journey. More common toxicity symptoms include headache, fatigue, mucus problems, aches and pains, digestive problems, “allergy” symptoms, and sensitivity to environmental agents such as chemicals, perfumes, and synthetics. The organs and organ systems we rely on to filter and eliminate waste and contaminants—primarily the lungs, liver, lymphatic system, kidneys, skin, blood and bowel (or colon)—have become bogged down under the weight of our increasingly toxic modern world, and the key to reversing the damage may lie with the healing benefits of herbal and nutritional cleansing and detoxification. 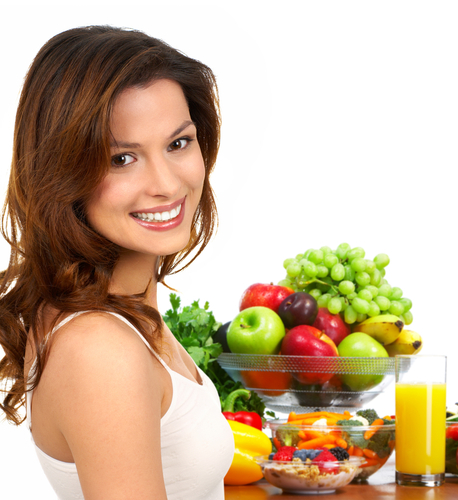 Nutrition and Herbal Support Is Important In Detoxification. Despite its increasing popularity, natural detoxification is not a new concept. The use of herbs, minerals, and other natural nutrients and organic ingredients as a means of cleansing the body has been practiced for centuries and by countless cultures worldwide. Traditional Chinese medicine for example, focuses on the use of herbal remedies to help eliminate toxins from the body and restore health and vitality, using similar methods employed by the ancient Greeks, Romans and Egyptians. Cleansing or detoxification is one part of the trilogy of nutritional action, the others being b) building, or toning with nutrients and herbs and c) balance or maintenance which also requires the addition of nutrients, and sometimes herbs as well depending on the health condition of the person. With a regular, balanced diet devoid of excesses, we definitely need less intensive detoxification, but we will still need ann occasional ‘tone-up’ because we are living in a world of daily contamination. Our body has a daily elimination cycle, mostly carried out at night and in the early morning, up until breakfast. However, when we eat a congesting diet higher in fats, meats, dairy products, refined foods, and chemicals, detoxification becomes more necessary. Who needs to detoxify and when … is based in part on individual lifestyle and needs. Detoxification: Beneficial? Yes. Magic Bullet? No. When you focus on taking a healthy approach to life, and make a commitment to wellness there will be times when you go through periods of feeling worse, as your body cleans up. Understanding the process of healing means giving your body the requirements for that healing to occur. Remember that cleansing and detoxification are not synonymous a miracle cure for whatever ails you. Make sure you understand the healing crisis process by studying these two page document, and keeping it handy for when you experience any unusual re-occurence of old symptoms. Natural detox programs can be an effective way to support overall health, but whether the goal is to eliminate toxins, flush away excess fat, or simply to live healthier, it’s important to know the difference between what is healthy and supportive, and what is potentially harmful and counterproductive. For example, if you’ve considered natural detoxification as a way to jumpstart weight loss, it’s best to think about your goal and how committed you are to it before you get started. ~ Gallstones or Muscle Strain? Getting the most out of natural detoxification is all about using a little common sense. If something sounds too good to be true, it probably is. These things take time, they are not a quick-fix, so be prepared to spend some months on cleaning up. However, being healthy means making a lifelong commitment to wellness. Once you do that, regular internal cleansing and other natural detox methods are like a booster for your wellness approach. There are programs that help keep the body in prime condition by supporting those vital organs and organ systems that process and eliminate toxins, and when you slip and ‘fall off the wagon’, cleansing and detox can provide the jumpstart you need to reestablish a state of optimum health. The purpose here is to discuss the need for elimination of toxins, excessive mucus, congestion. Through detoxification, we clear and filter toxins and wastes and allow our body to work on enhancing its basic functions. Some people go to extremes with fasting, laxatives, enemas, colonics, diuretics, and even exercise and begin to lose essential nutrients from their body. A negative balance can be created in this manner, such as protein or vitamin-mineral deficiencies which lead to even more severe conditions which is why we recommend a full program of herbal and nutritional support, backed by the ongoing support of your wellness team. Subscribe to our 'BE SAVVY' Updates! Congratulations & thanks for subscribing!